How to Unlock the Best in our Children and Ourselves. Workshop for University of Toronto students, faculty and staff. Sara chats with John Tory about large age gaps in couples. Thanks + giving = Thanksgiving. Time to reflect on what you’ve been given and to give thanks back. That’s the idea anyway but gratitude isn’t something that can be imposed. Lover Mother Book reviewed in Boston, USA. 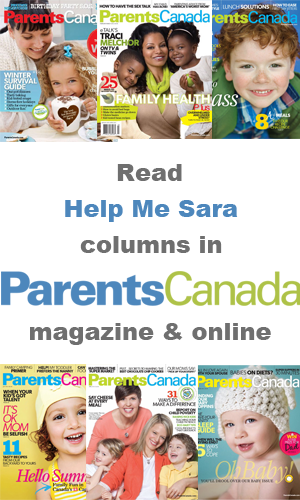 Sara comments in National Post story by Sarah Boesveld on Calgary mom who goes on six day strike.